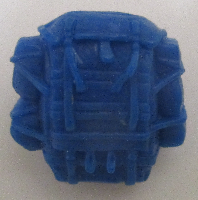 This page contains backpacks and any other accessories that feature a backpack peg, as well as the sonic backpacks that screw into the backs of the Battle Commanders. Bodywear that fits over the torso but does not have a peg (such as Rip Cord's parachute harness) is classified as Bodywear and can be found on this page. 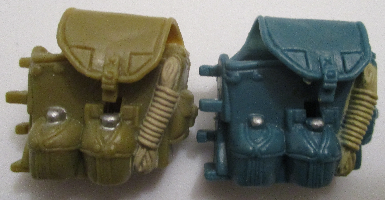 Some 25th-Anniversary backpacks are identical to earlier releases except for the backpack peg but are relisted because of that difference. 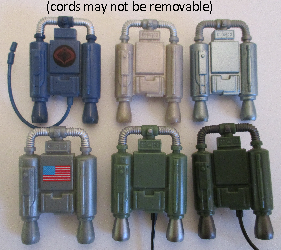 in dark olive with Short-Fuze, the original version on the 1982 single card, as well as his 1983 swivel-arm release on card and later by mail, and in J.C. Penney three-packs. 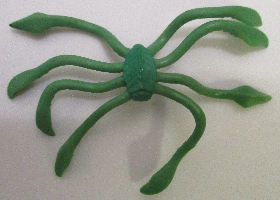 in light green with Zap, the original version on the 1982 single card, as well as his 1983 swivel-arm release on card and later by mail, and in J.C. Penney three-packs. 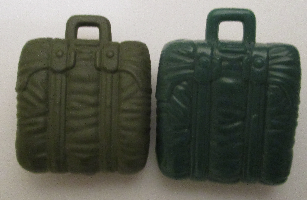 in tan with Battle Gear Accessory Pack #1, released in 1983.
in light green and black with Short-Fuse, in the 1997 Stars & Stripes Forever set. in black and green with Sergeant Zap, in the 1997 Stars & Stripes Forever set. in olive with Breaker, the original version on the 1982 single card, as well as his 1983 swivel-arm release and in J.C. Penney three-packs. in dark olive with Flash, the original version on the 1982 single card, as well as his 1983 swivel-arm release on card and later by mail, and in J.C. Penney three-packs. in dark olive with Grunt, the original version on the 1982 single card, as well as his 1983 swivel-arm release on card and later by mail, and in J.C. Penney three-packs. in green with Stalker, in the 1997 Stars & Stripes Forever set. in dark olive (with flag decal) with the JUMP, released in 1982 and 1983, as well as reissues by mail. in dark olive with Starduster, the original version offered by mail in 1987 and later years. 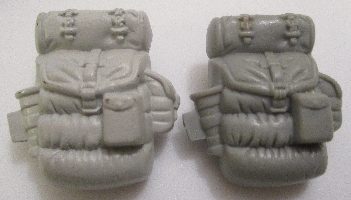 in olive with Grand Slam, in the 2007 Jet Pack Troopers convention 2-pack with Starduster. in olive with Starduster, in the 2007 Jet Pack Troopers convention 2-pack with Grand Slam. in black with Major Bludd, the original version offered by mail 1983 and later years, as well as his reissue on the 1983 single card. in red with Cobra Gear Accessory Pack #4, released in 1986.
in olive with Tripwire, the original version on the 1983 single card as well as in J.C. Penney three-packs. 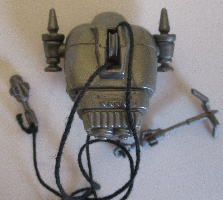 in brown with Battle Gear Accessory Pack #2, released in 1984.
in light grey with Tripwire, the orange version with the Listen 'n Fun cassette pack. 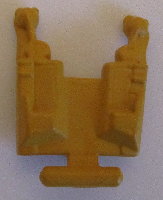 in dark grey with Tripwire, the Tiger Force version on the 1988 single card. in dark green with Tripwire, in the 2001 Real American Hero Collection two-pack with Big Brawler. in tan with Airborne, the original version on the 1983 single card as well as reissues by mail. in tan with Duke, the original version offered by mail in 1983 as well as his reissue on 1984 single card. 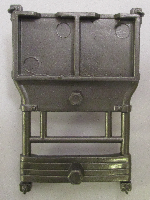 in light green with Steel Brigade, the silver-head version offered by mail in 1987 and later years. in light green with Duke, the Tiger Force version on the 1988 single card. in bright green with Steel Brigade, the gold-head version offered by mail in 1992 and later years. in white with Snow Job, the original version on the 1983 single card as well as in J.C. Penney three-packs. in white with Snow Job, in the 1997 Arctic Mission Team three-pack. in white with Whiteout, in the 2000 Real American Hero Collection two-pack with Big Ben. in white with Frostbite, the black-pads Joe vs. Cobra version in the 2002 Wave 1 two-pack with Neo-Viper. in white with Frostbite, the green Joe vs. Cobra version in the 2002 Wave 1.35 two-pack with Neo-Viper. in light grey and orange with Torpedo, the original version on the 1983 single card as well as in J.C. Penney three-packs. in black and brown with Torpedo, the all-black version with the Night Landing released in 1997.
in black with Wet Down, in the 2001 Real American Hero Collection two-pack with Wet-Suit. in black with Wet-Suit, the black Joe vs. Cobra version in the 2002 Wave 1 two-pack with Cobra Moray. in black with Wet-Suit, the teal Joe vs. Cobra version in the 2002 Wave 1.35 two-pack with Cobra Moray. in light blue with Gung-Ho, the original version on the 1983 single card. 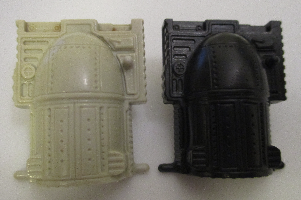 in brown, light blue, and silver with Gung-Ho, the brown version with the Slugger released in 1997.
in black with Destro, the original version on the 1983 single card. in blue with Cobra Gear Accessory Pack #4, released in 1986.
in light green with Spirit, the original version on the 1984 single card. in tan with Battle Gear Accessory Pack #3, released in 1985.
in black with Spirit, the Slaughter's Marauders version on the 1989 single card. in red-brown with Roadblock, the original version on the 1984 single card. 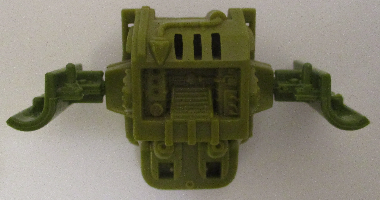 in light green with Roadblock, the Tiger Force version on the 1988 single card. in light green with Recondo, the original version on the 1984 single card. in red-brown with Taurus, the original version in the 1987 Sgt. Slaughter's Renegades three-pack. 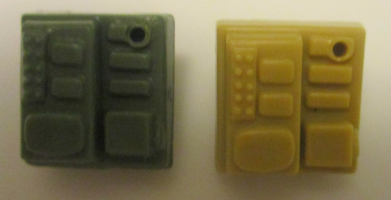 in dark green with Recondo, the Tiger Force version with the Tiger Fly released in 1988.
in yellow with Blowtorch, the original version on the 1984 single card. in black with Baroness, the original version on the 1984 single card. in black with Chameleon, in the 2000 Real American Hero Collection two-pack with Cobra Commander. in black with Baroness, the Joe vs. Cobra version in the 2002 Wave 3 two-pack with Flint. in black with Storm Shadow, the original version on the 1984 single card. in black with Storm Shadow, in the 1997 Commando Team three-pack. in grey with Firefly, the original version on the 1984 single card. 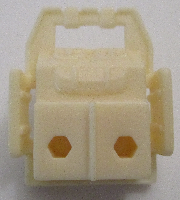 in white with Firefly, the white version in the 1998 Cobra Polar Force three-pack. 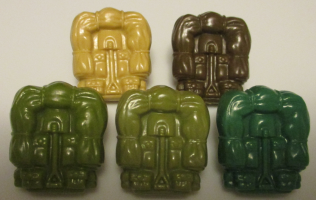 in brown and green with Firefly, the brown version in the 2000 Real American Hero Collection two-pack with Undertow. 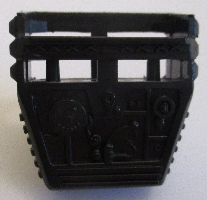 in black with Wreckage, in the 2003 Tiger Force five-pack. 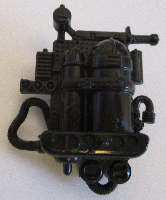 in black with Firefly, the Black Dragon version released in the 2003 Firefly convention two-pack. 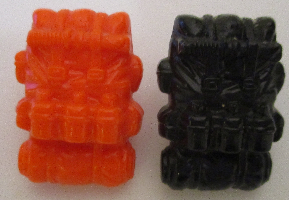 in black with Firefly, the Tiger Force version released in the 2003 Firefly convention two-pack. in black with Flint, in the 2004 Night Force six-pack, as well as his reissue with the G.I. Joe Moray released in 2005.
in black with Tunnel Rat, in the 2004 Night Force six-pack. in black with Firefly, in the 2004 Strike Team: Urban Division six-pack. 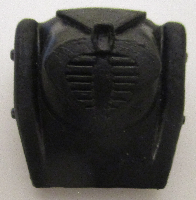 in black with Desert Cobra C.L.A.W.S., the Sand Scorpion recolor on the 2004 Wave 2 single card. in black with Firefly, in the 2005 Crimson Guard six-packs. 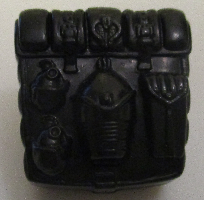 in black with Sand Viper, the black version on the 2005 Wave 3 single card. in black with Firefly, the comic version in the 2005 Marvel #49 three-pack. 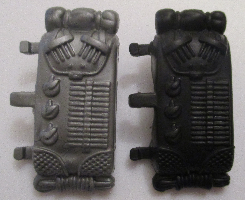 in black with Zartan, the original version with the Chameleon released in 1984.
in silver with Buzzer, the original version on the 1985 single card. 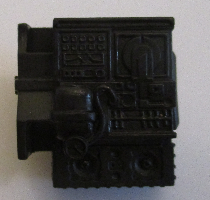 in dark grey with Dreadnok Buzzer, the red version in the 2004 Dreadnok Rampage convention set. 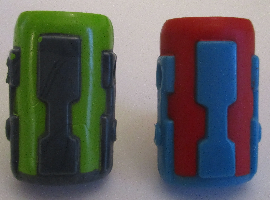 in black with Dreadnok Buzzer, the green version in the 2005 Marvel #75 comic three-pack. in silver with Ripper, the original version on the 1985 single card. 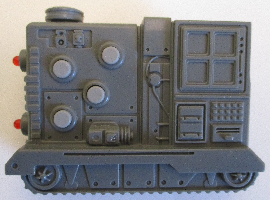 in dark grey with Dreadnok Ripper, the red vintage-style version in the 2004 Dreadnok Rampage convention set. in black with Dreadnok Ripper, the comic version in the 2005 Marvel #75 three-pack. in silver with Torch, the original version on the 1985 single card. in black with Cobra B.A.T., the 3.0 Joe vs. Cobra version in the 2002 Wave 4 two-pack with Shipwreck. in black with Cobra B.A.T. 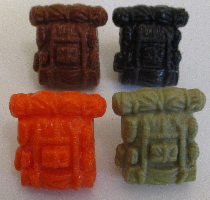 v4, the rust-colored version in the 2004 Wave 3 two-pack with Snow Wolf. in black with Cobra B.A.T. v4, the red version on the 2004 Wave 2 single card. 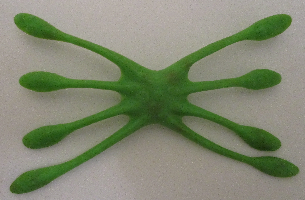 in green with Flint, the original version on the 1985 single card. in green with Dart, the green-vest version in the 2002 Wave 4 two-pack with Cobra C.L.A.W.S., as well as his reissue in the 2004 Battle in a Box set. 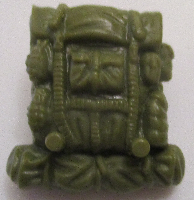 in green with Tunnel Rat, the Spy Troops version reissued on the 2004 Wave 1 single card. 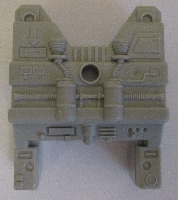 in dark grey with Flint, the Tiger Force version on the 1988 single card. 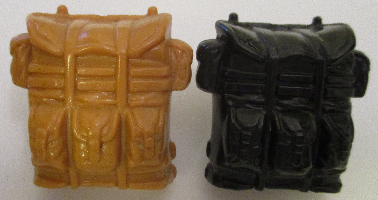 in black with Dart, the brown-vest version in the 2003 Wave 6 two-pack with Dr. Mindbender. in black with Beachhead, the brown-vest Valor vs. Venom version on the 2004 Wave 2 single card. 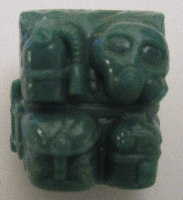 in black with Swamp Rat, the grey-and-green version on the 2004 Wave 2 single card. in black with Night Creeper, the dark blue version on the 2005 Wave 3 single card. in black with Dusty, the Valor vs. Venom version reissued on the 2005 Wave 3 single card. 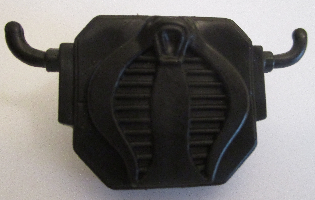 in black with Snake-Eyes, the visor version on the 1985 single card. in olive with Bazooka, the original version on the 1985 single card, as well as his reissues by mail. in dark green with Bazooka, the Tiger Force version on the 1988 single card. in olive with Airtight, the original version on the 1985 single card. 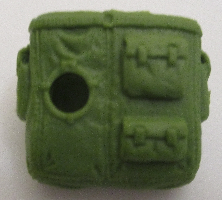 in light green with Lady Jaye, the original version on the 1985 single card. in black with Lady Jaye, the black version in the 1997 Commando Team three-pack. in black with Lady Jaye, the jungle camo version in the 2003 Operation: Anaconda convention set. 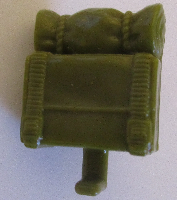 in dark green with Volga, in the 1998 Oktober Guard three-pack. in dark grey with Quick Kick, the original version on the 1985 single card, as well as reissues by mail in later years. in tan with Dusty, the original version on the 1985 single card. in red-brown with Red Dog, the original version in the 1987 Sgt. Slaughter's Renegades three-pack. in red-brown with Cross Hair, the Spy Troops version reissued on the 2004 Wave 1 single card. in light green with Dusty, the original version on the 1988 single card. in red with Dreadnok Ripper, the red Joe vs. Cobra version in the 2002 Wave 4 two-pack with Duke. in blue with Dreadnok Ripper, the blue Spy Troops version in the 2003 Wave 6 two-pack with Dreadnok Roadblock. 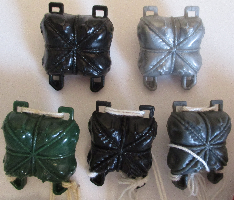 in dark green with Shockblast, the green version in the 2008 S.W.A.T. convention three-pack. in dark green with Low-Light, the green version in the 2008 S.W.A.T. 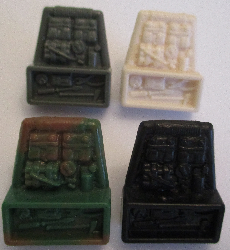 convention three-pack. in tan with Alpine, the original version on the 1985 single card. in tan with Footloose, the original version on the 1985 single card. in black with Mercer, the original version in the 1987 Sgt. Slaughter's Renegades three-pack. in black with Footloose, the Slaughter's Marauders version on the 1989 single card. in dark grey with Barbecue, the original version on the 1985 single card. in grey with Barbecue, the original version on the 1989 single card. in black with Tele-Viper, the original version on the 1985 single card. in black with Python Tele-Viper, on the 1989 single card. in blue with Cobra Gear Accessory Pack #6, released in 1988.
in black (no hose pin) with Cobra Commander, the blue O-ring version in the 2002 Joe vs. Cobra Wave 3 two-pack with Snake Eyes, as well as his reissue with the 2003 Mission Disc #3.
in black (no hose pin) with Neo-Viper, the grey version in the 2002 Wave 4 two-pack with Wild Bill. 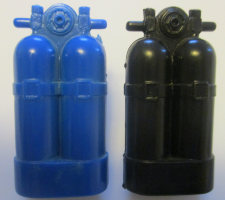 in black (no hose pin) with Neo-Viper, the blue O-ring version in the 2003 Wave 7.75 two-pack with Neo-Viper Commander. 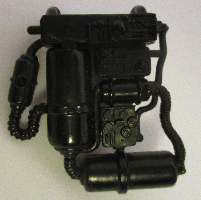 in black (no hose pin) with Cobra Commander, the black O-ring version in the 2003 Wave 7.75 two-pack with Cobra B.A.T. v3.2. 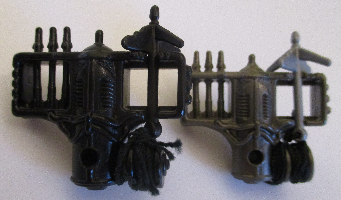 in black (no hose pin) with Neo-Viper, the Walmart version in the 2004 two-pack with Gung-Ho. 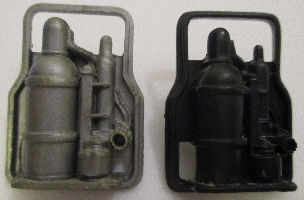 in black (no hose pin) with the Operation: Avalanche set, released in 2004.
in black (no hose pin) with Duke, the olive pants version on the 2004 Wave 2 single card. 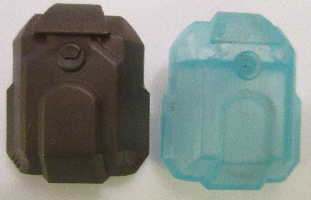 in black (no hose pin) with Tele-Viper, the blue Valor vs. Venom version on the 2005 Wave 3 single card. in black with Eel, the original version on the 1985 single card. in white with Snow Serpent, the original version on the 1985 single card. in black with Agent Scarlett, the yellow Joe vs. Cobra version in the 2002 Wave 2 two-pack with Zartan. 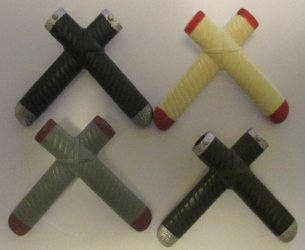 in black with Undertow, the red version in the 2002 Sound Attack eight-pack. in black with Agent Scarlett, the green Joe vs. Cobra version in the 2002 Wave 3 two-pack with Storm Shadow. in white and black with Snow Serpent, the removable helmet version on the 2005 Direct-to-Consumer Wave 2 single card. in white and black with Snow Serpent Commander, in the 2007 Flaming M.O.T.H. two-pack with Ice-Viper. in red with Crimson Guard, the original version on the 1985 single card. in black with Python Crimson Guard, on the 1989 single card. in silver with the Silver Mirage Motorcycle, the original version released in 1985.
in silver with the Silver Mirage Motorcycle, the 1997 version released as part of the Army Recon Mission. 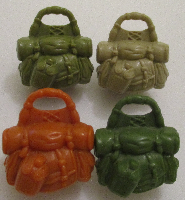 in olive with the Parachute Pack, offered by mail in 1985 and later years. in olive with Hit & Run, reissued on the 1988 Target-exclusive single card. 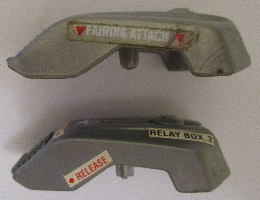 in olive with Action Pilot, the yellow version in the 1994 single box. in olive with Action Pilot, the blue version in the 1994 Original Action Team five-pack. in brown with Airwave, on the 1990 Sky Patrol card. in brown with Drop Zone, on the 1990 Sky Patrol card. in blue with Skydive, on the 1990 Sky Patrol card. in grey with Airborne, the Sky Patrol character on the 1990 single card. in white with Static Line, on the 1990 Sky Patrol card. in dark green with Altitude, on the 1990 Sky Patrol card. in black with Fighter Pilot, released at the 1994 G.I. Joe convention. in black with B.A.T., the original version on the 1986 single card. in black with Headhunter B.A.T., in the 2008 Cobra Headhunters convention set. in blue with Zandar, on the 1986 single card. in light green with Leatherneck, the original version on the 1986 single card. 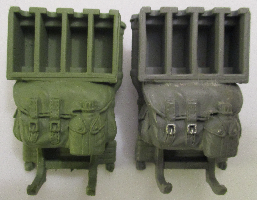 in light green with Leatherneck, the tan version in the 1986 Special Mission: Brazil five-pack. in black with Python Copperhead, on the 1989 single card. in black with Low-Light, the original version on the 1986 single card. in black with Low-Light, the Slaughter's Marauders version on the 1989 single card. 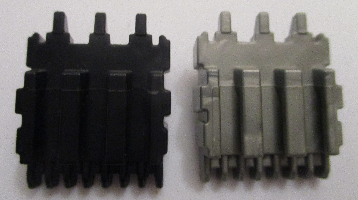 in dark grey with Battle Gear Accessory Pack #5, released in 1987.
in grey with Mainframe, the original version on the 1986 single card. 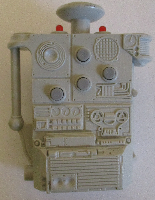 in grey with Mainframe, the red version in the 1986 Special Mission: Brazil five-pack. in black with Beach Head, the original version on the 1986 single card. 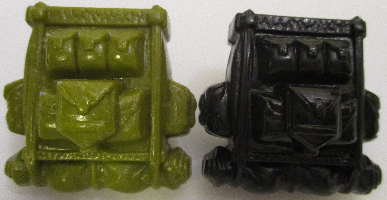 in black with Beach Head, the dark green Joe vs. Cobra version in the 2002 Wave 3 two-pack with Dr. Mindbender. in black with Alley Viper II, the red version on the 2004 Wave 2 single card. 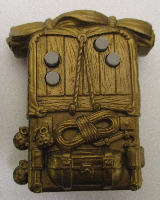 in cream with Battle Gear Accessory Pack #5, released in 1987.
in silver with Lifeline, the original version on the 1986 single card. 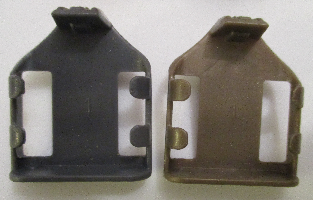 in silver with Lifeline, the modified-original version offered by mail in 1991.
in brown with Battle Gear Accessory Pack #5, released in 1987.
in black with Sergeant Lifeline, the Tiger Force version on the 1988 single card. 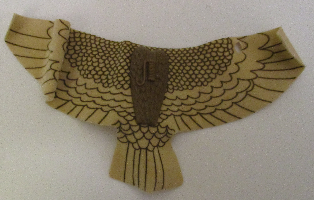 in olive with Hawk, the brown-jacket version on the 1986 single card. in black with Snake Eyes, the tan-pocket version in the 1997 Commando Team three-pack. in black with Duke, with the Silver Mirage released in 1997.
in black with General Hawk, the dark brown version with the A-10 Thunderbolt released in 1997.
in black with Breaker, in the 1997 Stars & Stripes Forever set. in black with Grunt, in the 1997 Stars & Stripes Forever set. in black with Thunderwing, with the MOBAT released in 1998 and reissued in 2000.
in bright green with Sci-Fi, the original version on the 1986 single card. in orange with Wet-Suit, the original version on the 1986 single card. in orange with Wet-Suit, the silver version in the 1986 Special Mission: Brazil five-pack. in black with Wet-Suit, in the 1998 Navy Assault Unit three-pack. in grey with Wet-Suit, the grey version in the 2001 Real American Hero Collection two-pack with Wet Down. in light grey with Dial-Tone, the original version on the 1986 single card. 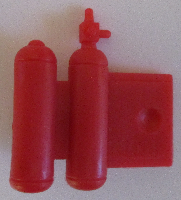 in light grey with Dial-Tone, the red-pants version in the 1986 Special Mission: Brazil five-pack. in red with Zarana, the original version on the 1986 single card. 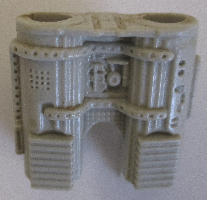 in silver with Cobra Gear Accessory Pack #6, released in 1988.
in black with Dreadnok Zarana, the grey version in the 2004 Dreadnok Rampage convention set. in black with Zarana, the comic version in the 2005 Marvel #76 comic three-pack. in black with Viper, the original version on the 1986 single card. in black with Python Viper, on the 1989 single card. 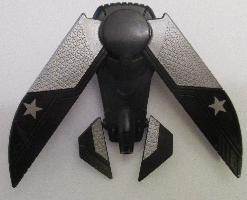 in black with Viper, the maroon version with the Flight Pod released in 1997.
in black with Viper, in the 2002 Crimson Strike Team convention set (both crimson and fuchsia variants). in black with Swamp-Viper, in the 2003 Operation: Anaconda convention set. in black with Black Dragon Trooper, in the 2003 Operation: Anaconda convention set. in gold with Serpentor, the original version with the Air Chariot released in 1986.
in black with Serpentor, the black version in the 2002 Real American Hero Collection two-pack with Shock Viper. in yellow-green with Serpentor, the comic version in the 2005 Marvel #49 three-pack. in silver with Cobra Commander, the armor version on the 1987 single card. in silver with Cobra Commander, the RAHC armor version in the 2001 Real American Hero Collection two-pack with Cobra Laser Viper. in green with Falcon, the original version on the 1987 single card. in black with Lieutenant Falcon, the Night Force version in the 1988 two-pack with Sneak Peek. in silver with Psyche-Out, the original version on the 1987 single card. in black with Psyche-Out, the Night Force version in the 1988 two-pack with Tunnel Rat. in black with Jinx, the original version on the 1987 single card, as well as reissues by mail. 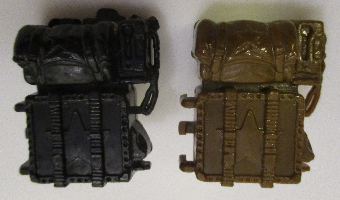 in black with Vypra, the black version with the Rattler 4WD released in 1998.
in silver with Jinx, in the 2003 Tiger Force five-pack. 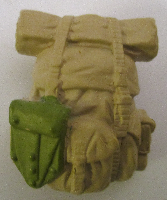 in dark green (with attached parachute) with Dusty, the paratrooper version released at the 2003 G.I. Joe convention. in black (with attached parachute) with Air-Viper, released at the 2003 G.I. Joe convention. in black (with attached parachute) with Steel Brigade Paratrooper, released at the 2005 G.I. Joe convention. 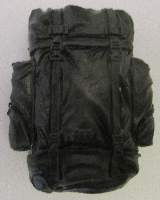 in black (with attached parachute) with Jungle Viper, the lighter version released at the 2005 G.I. Joe convention. 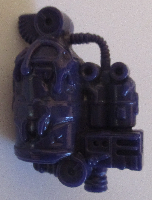 in black (with attached parachute) with Nullifier, the blue version released at the 2006 G.I. Joe convention. in dark grey or black (with attached parachute) with Iron Anvil, in the 2005 General Mayhem: M.A.R.S. Invades! convention set. in olive with Tunnel Rat, the original version on the 1987 single card. 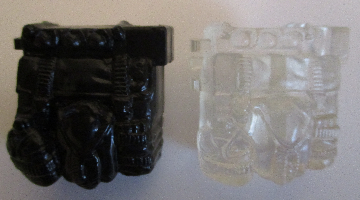 in black with Tunnel Rat, the Night Force version in the 1988 two-pack with Psyche-Out. in tan with Outback, the original version on the 1987 single card. in black with Outback, the Night Force version in the 1988 two-pack with Crazylegs. in brown and tan with Raptor, on the 1987 single card. in olive with Fast Draw, on the 1987 single card. in black with Techno-Viper, the original version on the 1987 single card. in bright green with Nemesis Enforcer, in the 1987 Cobra-La three-pack. 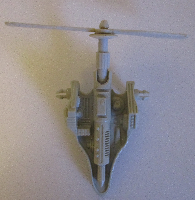 in grey with Nemesis Enforcer, in the 1987 Cobra-La three-pack. 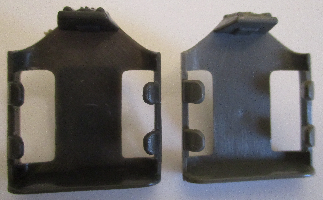 in white with Payload, the original version with the Defiant released in 1987.
in light grey with Payload, the yellow version with the Crusader released in 1989.
in black with Blizzard, the original version on the 1988 single card. in red with Storm Shadow, the urban camo version on the 1988 single card. in light green with Repeater, the original version on the 1988 single card. 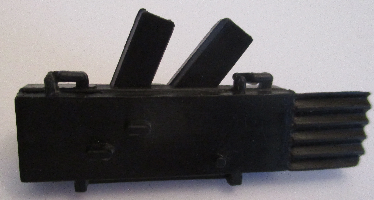 in black with Repeater, the Night Force version in the 1989 two-pack with Charbroil. in blue with Shockwave, the original version on the 1988 single card. in black with Shockwave, the Night Force version in the 1989 two-pack with Lightfoot. in silver and yellow with Charbroil, the original version on the 1988 single card. in black and yellow with Charbroil, the Night Force version in the 1989 two-pack with Repeater. in black with Charbroil, in the 2004 Anti-Venom Strike Force six-pack. in green and red with Lightfoot, the original version on the 1988 single card. in black and red with Lightfoot, the Night Force version in the 1989 two-pack with Shockwave. in black with Toxo-Viper, the original version on the 1988 single card. in orange with Spearhead, the original version on the 1988 single card. in black with Spearhead, the Night Force version in the 1989 two-pack with Muskrat. in silver with Astro-Viper, the red version on the 1988 single card. in silver with Shadow Viper, in the 2001 Real American Hero Collection two-pack with Zartan. in green and orange with Muskrat, the original version on the 1988 single card as well as his reissue in the Ultimate Enemies two-pack with Voltar. 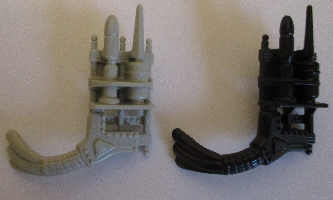 in black and grey with Muskrat, the Night Force version in the 1989 two-pack with Spearhead. in brown with Budo, the original version on the 1988 single card. in olive with Hardball, on the 1988 single card. in black with Hydro-Viper, on the 1988 single card. in gold with Voltar, on the 1988 single card as well as his reissue in the Ultimate Enemies two-pack with Muskrat. in grey with Wildcard, with the Mean Dog released in 1988.
in dark green with Recoil, on the 1989 single card. in grey with Scoop, on the 1989 single card. in silver with Countdown, the white version on the 1989 single card. in black with Snake Eyes, the silver crossed-swords version on the 1989 single card. in black with Snake Eyes, the blue crossed-swords version in the 2000 Real American Hero Collection two-pack with Storm Shadow. in black with Night Creeper, the black version in the 2004 Strike Team: Urban Division six-pack. in purple with Night-Creeper, the original version on the 1990 single card. in black with Alley Viper, the original version on the 1989 single card. in black with Alley Viper, the yellow version on the 1993 Battle Corps card. in light grey with T.A.R.G.A.T., the blue version on the 1989 single card. in blue with Dee-Jay, on the 1989 single card. in light grey with Rock & Roll, the Gatling version on the 1989 single card. in white with Stalker, the arctic version on the 1989 single card. in light grey with H.E.A.T. Viper, the yellow version on the 1989 single card. in black with Fast Blast Viper, the black version in the 2001 Real American Hero Collection two-pack with Destro. in black with Python Patrol H.E.A.T. Viper, in the 2003 Python Patrol six-pack. in black with Gnawgahyde, on the 1989 single card. in black with Dreadnok Crusher, in the 2004 Dreadnok Rampage convention set. in black with Downtown, on the 1989 single card. in black with Deep Six, the light blue version on the 1989 single card. in black with Frag-Viper, the original version on the 1989 single card. in black with Night-Viper, the original version on the 1989 single card. in black with Night-Viper, in the 2006 Flaming M.O.T.H. two-pack with Frag-Viper. 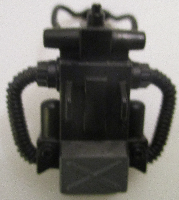 in black with Iron Grenadier, in the 2005 General Mayhem: M.A.R.S. Invades! convention set. in light grey with Annihilator, on the 1989 single card. in green and black with Specialist Trakker, on the 2008 Wave 11 single card. in olive with Captain Grid-Iron, on the 1990 single card. in light grey with Topside, on the 1990 single card. in black with Rock-Viper, the original version on the 1990 single card. in bronze with Python Patrol Rock Viper, in the 2003 Python Patrol six-pack. in white with Sub-Zero, the original version on the 1990 single card. in dark green with Ambush, the original version on the 1990 single card. in brown with Side Track, the Ambush recolor in the 2000 Real American Hero Collection two-pack with Duke. 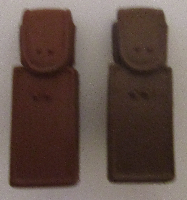 in light brown with Salvo, the original version on the 1990 single card. in dark grey with Freefall, on the 1990 single card. 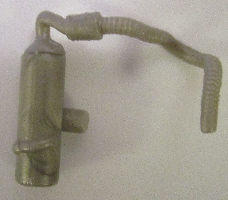 in silver with Laser-Viper, the original version on the 1990 single card. in black with Cobra Laser Viper, in the 2003 Python Patrol six-pack. in dark red with SAW-Viper, the original version on the 1990 single card. in dark red with Cobra S.A.W. 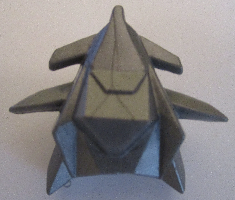 Viper, the removable helmet version on the 2006 Direct-to-Consumer Wave 3 single card. in black with Zartan, in the 2001 Real American Hero Collection two-pack with Shadow Viper. in black with Cobra Viper, the green version in the 2002 Wave 1.5 two-pack with Mirage. in black with Python Patrol S.A.W. Viper, in the 2003 Python Patrol six-pack. 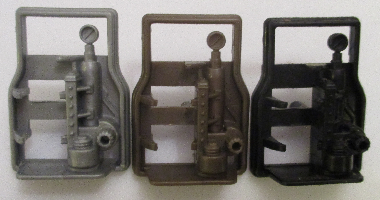 in black (back hollow) with Cobra Infantry Trooper, one each with all four versions in the 2004 Cobra Infantry Trooper six-pack. in black (back hollow) with Cobra Squad Leader, the red mask version in the 2004 Cobra Infantry Forces six-pack. 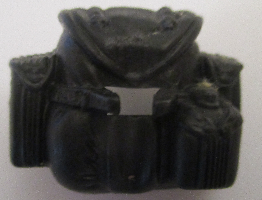 in black (back hollow) with Cobra Squad Leader, the brown mask version in the 2004 Cobra Infantry Forces six-pack. in black with Alpine, the yellow-green version on the 2004 Wave 2 single card. in black with Rock 'n Roll, the comic version in the 2005 Marvel #8 comic three-pack. in black with Sergeant Stalker, the Valor vs. Venom version reissued on the 2005 Wave 3 single card. in black with Lonzo R. Wilkinson, the Vietnam-era Stalker in the 2006 Marvel #26 comic three-pack. 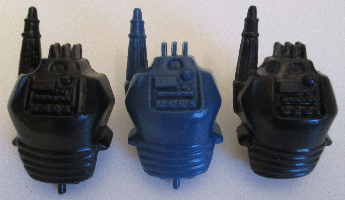 in graphite with Cobra Viper, the blue version in the 2002 Wave 2.5 two-pack with Mirage. in graphite with Cobra Viper, the red-and-blue version in the 2003 Wave 7.75 two-pack with Cobra Alley Viper. 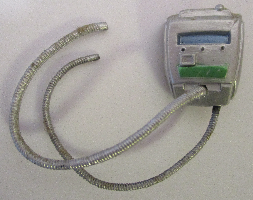 in light grey with Metal-Head, the original version on the 1990 single card. in dark grey with Range-Viper, the original version on the 1990 single card. in blue-grey with Rock Viper, the Range-Viper recolor in the 2000 Real American Hero Collection two-pack with Maj. Bludd. 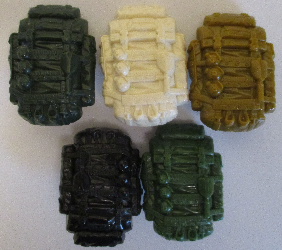 in light green with Heavy Duty, the grey Joe vs. Cobra version in the 2002 Wave 1 two-pack with Cobra C.L.A.W.S., as well as his reissue in the Wave 4 two-pack with Skull Buster. in light green with Heavy Duty, the green Joe vs. Cobra version in the 2002 Wave 1.35 two-pack with Cobra C.L.A.W.S. 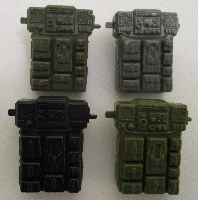 in light green with Scrap Iron, the black version in the 2004 Strike Team: Urban Division six-pack. in black with Frag-Viper, the green version in the 2006 Flaming M.O.T.H. two-pack with Night-Viper. in black with Range Viper, the tan version in the 2006 Flaming M.O.T.H. two-pack with Flak-Viper. in dark green with Stretcher, on the 1990 single card. in grey with Sideswipe, in the 2002 Real American Hero Collection two-pack with Sgt. Lifeline. in black with Sergeant Lifeline, in the 2004 Anti-Venom Strike Force six-pack. in green with Sparks, in the 2007 Tanks for the Memories convention set. in dark grey with Bullhorn, the original version on the 1990 single card. in black and white with Bullhorn, with the S.W.A.T. R.T.V. released at the 2008 G.I. Joe convention. 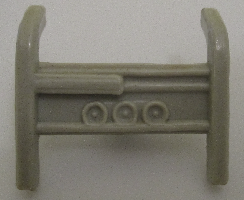 in light grey with Pathfinder, the original version on the 1990 single card. in black with Pathfinder, the grey version with the V.A.M.P. 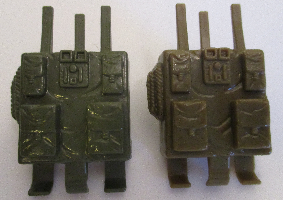 and Twin Battle Gun set released in 2004.
in brown-grey with Tunnel Rat, the Sonic Fighters version on the 1990 single card. in light brown with Law, the Sonic Fighters version on the 1990 single card. in black with Dial-Tone, the Sonic Fighters version on the 1990 single card. in dark green with Dodger, the Sonic Fighters version on the 1990 single card. in gold with Viper, the Sonic Fighters version on the 1990 single card. in black with Lamprey, the Sonic Fighters version on the 1990 single card. in dark green with Heavy Duty, the original version on the 1991 Wave 1 single card. in red-brown with Dusty, the coyote version on the 1991 Wave 1 single card. in orange with Cross-Country, on the 1993 Battle Corps card. in black with Cobra Officer, the Viper recolor in the 1998 Cobra Infantry Team three-pack. in black with Cobra Trooper, the Viper recolor in the 1998 Cobra Infantry Team three-pack. in black with Dusty, the blue shirt version in the 2000 Real American Hero Collection two-pack with Law. in black with Dial Tone, the olive version in the 2000 Real American Hero Collection two-pack with General Tomahawk. in black with Gung-Ho, the green-shirt Joe vs. Cobra version in the 2002 Wave 1 two-pack with Destro. in black with Cobra C.L.A.W.S., the red Joe vs. Cobra version in the 2002 Wave 1 two-pack with Heavy Duty. in black with Gung-Ho, the white-shirt Joe vs. Cobra version in the 2002 Wave 1.35 two-pack with Destro. in black with Cobra C.L.A.W.S., the green Joe vs. Cobra version in the 2002 Wave 1.35 two-pack with Heavy Duty. in black with General Tomahawk, in the 2002 Wave 1.5 two-pack with Headman. in black with Desert Cobra C.L.A.W.S., the Joe vs. Cobra version in the 2002 Wave 2 two-pack with Dusty. 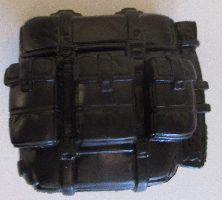 in black with Roadblock, the Charles L. Griffith version in the 2002 Sound Attack eight-pack. in black with Flint, the black shirt version in the 2002 Wave 3 two-pack with Baroness. in black with Agent Scarlett, in the 2003 ToyFare two-pack. in black with Desert Cobra C.L.A.W.S., the O-ring version in the 2003 Wave 7.75 two-pack with Sand Viper. in black with Gung-Ho, the Walmart version in the 2004 two-pack with Neo-Viper. in black with Duke, the O-ring Joe vs. Cobra version reissued on the 2004 Wave 1 single card. in black with Snake Eyes, the green comic version in the 2004 Marvel #2 three-pack. in black with Steeler, the comic version in the 2004 Marvel #5 three-pack. in black with Storm Shadow, the dirty-hooded version in the 2004 Ninja Cobra Strike Team six-pack. in black with Colonel Brekhov, the grey version in the 2005 Marvel #6 comic three-pack. in black with Crimson Guard, the red-brown hair version in the 2005 Crimson Guard six-packs. in black with Crimson Shadow Guard, one each with all six figures in the 2005 Crimson Shadow Guard six-pack. in pea-green with Footloose, on the 2005 Direct-to-Consumer Wave 2 single card. in black with Low-Light, the brown-and-grey version on the 1991 Wave 1 single card. in black with Low-Light, the blue version in the 2001 Real American Hero Collection two-pack with Sure Fire. 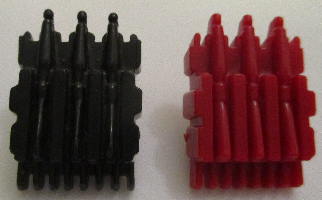 in black with Destro, the black-and-blue version in the 2002 Wave 1 two-pack with Gung Ho. 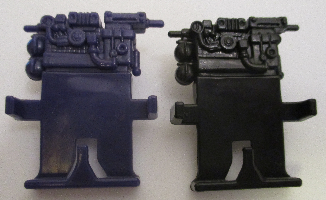 in black with Destro, the purple-and-blue version in the 2002 Wave 1.35 two-pack with Gung Ho. in black with Skull Buster, in the 2002 Wave 4 two-pack with Heavy Duty. 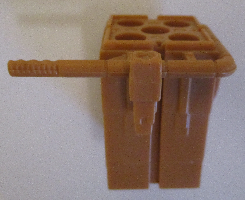 in black with Beachhead, the Tiger Force version in the 2004 Dreadnok Rampage convention set. in clear with Zartan, the clear the 2003 G.I. Joe Collector's Club annual exclusive figure. in dark green with Big Ben, the dark green version on the 1991 Wave 1 single card. 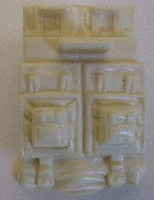 in white with Big Ben, the white version in the 2000 Real American Hero Collection two-pack with Whiteout. in tan with Dusty, the yellow knees Joe vs. Cobra version in the 2002 Wave 2 two-pack with Desert Cobra C.L.A.W.S., as well as his reissue with 2003 Mission Disc #2.
in tan with Sergeant Stalker, the bright green Joe vs. Cobra version reissued on the 2004 Wave 1 single card. 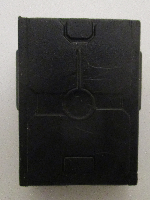 in black with Dial Tone, the green-and-black version in the 2002 Sound Attack eight-pack. 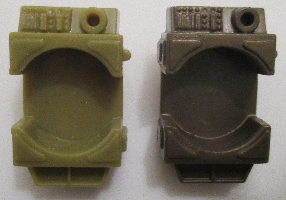 in black with Recondo, the Spy Troops version reissued with 2004 Mission Disc #1.
in green with Dusty, the green Joe vs. Cobra version in the 2002 Wave 4 two-pack with Shock Viper. 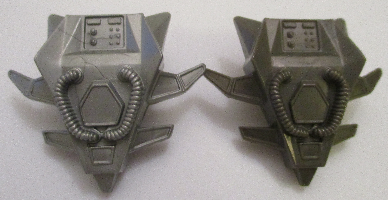 in grey with General Hawk, the flight-pack version on the 1991 Wave 1 single card. in black with Crimson Guard Immortal, the red version on the 1991 Wave 1 single card. in black with Destro, in the 2005 General Mayhem: M.A.R.S. Invades! convention set. in purple with Snow Serpent, the purple-board version on the 1991 Wave 1 single card. in black with Snow Serpent, the white-board version in the 1998 Cobra Polar Force three-pack. in black with Desert Scorpion, on the 1991 Wave 1 single card. 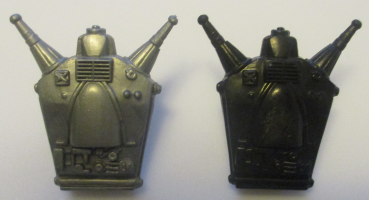 in silver with Sci-Fi, the grey version on the 1991 Wave 1 single card. in silver with Sergeant Flash, in the 2007 Tanks for the Memories convention set. 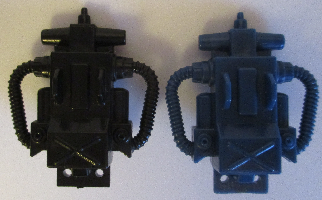 in black with Laser Viper, the blue version in the 2001 Real American Hero Collection two-pack with Cobra Commander. in brown with Red Star, the original version on the 1991 Wave 1 single card. in black with Colonel Brekhov, the yellow version in the 1998 Oktober Guard three-pack. in black with Lieutenant Falcon, the jungle camo version in the 2003 Operation: Anaconda convention set. 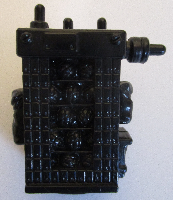 in black with Incinerator, on the 1991 Wave 1 single card. 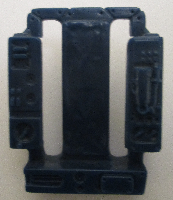 in blue with Snake Eyes, the missile launcher version on the 1991 Wave 2 single card. in dark blue with Mercer, the bearded version on the 1991 Wave 2 single card. 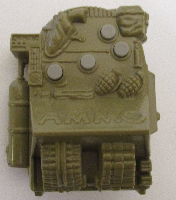 in black and light green with Cobra B.A.T., the 2.0 missile launcher version on the 1991 Wave 2 single card. in dark blue and orange with Flint, the Eco-Warriors version on the 1991 single card. in light green and yellow with Ozone, the blue version on the 1991 Eco-Warriors card. in yellow and red with Barbecue, the Eco-Warriors version on the 1992 single card. in light green with Clean-Sweep, on the 1991 Eco-Warriors card. in purple and orange with Cesspool, on the 1991 Eco-Warriors card. in purple with Toxo-Viper, the Eco-Warriors version on the 1991 single card. in purple with Sludge Viper, on the 1991 single card. in blue with Lieutenant Falcon, the Super Sonic Fighters version on the 1991 single card. in grey with Zap, the Super Sonic Fighters version on the 1991 single card. in grey with Major Bludd, the Super Sonic Fighters version on the 1991 single card. in black with General Hawk, the neon version offered by mail in 1993.
in light green with Road Pig, the Super Sonic Fighters version on the 1991 single card. in green and black with Rock 'n Roll, the Super Sonic Fighters version on the 1991 single card. in light grey with Psyche-Out, the Super Sonic Fighters version on the 1991 single card. in gold with General Hawk, the Battle Commanders version on the 1992 single card. in yellow with Stalker, the Battle Commanders version on the 1992 single card. in black with Cobra Commander, the Battle Commanders version on the 1992 single card. in red with Overkill, the Battle Commanders version on the 1992 single card. in tan and red with Duke, the missile station version on the 1992 Wave 1 single card. in black with Big Bear, the green version on the 1992 Wave 1 single card. in black with Lieutenant Gorky, the bearded version in the 1998 Oktober Guard three-pack. in black with Big Brawler, the original version in the 2001 Real American Hero Collection two-pack with Tripwire. in black with Cobra Alley Viper, the light blue version in the 2002 Wave 1.5 two-pack with Big Ben. in black with Cobra Alley Viper, the black version in the 2004 Strike Team: Urban Division six-pack. in black with Snake Eyes, the black comic version in the 2004 Marvel #4 three-pack. 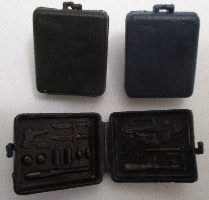 in black with Infantry Division, one each for all six versions in the Infantry Division six-pack. in black with Gung-Ho, in the 2005 Steel Brigade convention three-pack. in black with Steel Brigade Commander, in the 2005 Steel Brigade convention three-pack. 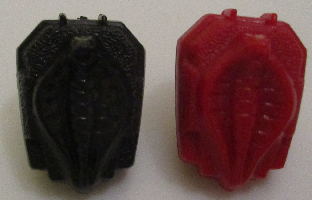 in graphite with Cobra Alley Viper, the red version in the 2002 Wave 2.5 two-pack with Big Ben. 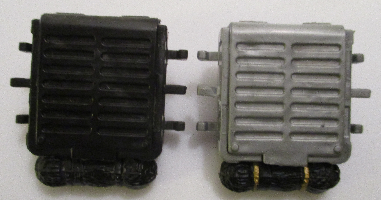 in graphite with Cobra Alley Viper, the blue version in the 2003 Wave 7.75 two-pack with Cobra Viper. in cream with Mercer, in the 2006 Slaughter's Marauders convention three-pack. in cream with Red Dog, in the 2006 Slaughter's Marauders convention three-pack. in cream with Taurus, in the 2006 Slaughter's Marauders convention three-pack. in orange with G.I. Joe Doc, in the 2007 Tanks for the Memories convention set. in green and blue with Flak-Viper, the blue version on the 1992 Wave 1 single card. in green and orange with Flak-Viper, the orange version on the 1993 Battle Corps card. in black with Flak-Viper, the tan version in the 2006 Flaming M.O.T.H. two-pack with Range Viper. 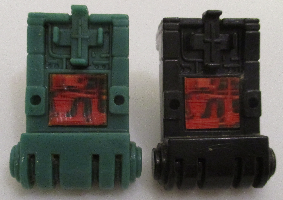 in black with Gung-Ho, the green-vest version on the 1992 Wave 2 single card as well as his reissue on 1993 Battle Corps card. in black with Gung-Ho, the red-vest version on the 1993 Battle Corps card. in black with Gung Ho, the tan version in the 2001 Real American Hero Collection two-pack with Leatherneck. 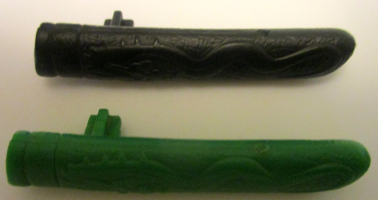 in black with Sure Fire, the green version in the 2002 Wave 1.5 two-pack with Cobra Slice. in black with Baroness, in the 2002 Crimson Strike Team convention set (both crimson and fuchsia variants). 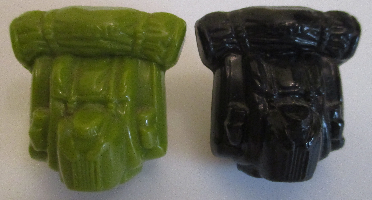 in black with Sergeant Stalker, the bright green Joe vs. Cobra version in the 2002 Wave 2 two-pack with Neo-Viper Commander. in black with Wet-Suit, in the 2002 Sound Attack eight-pack. 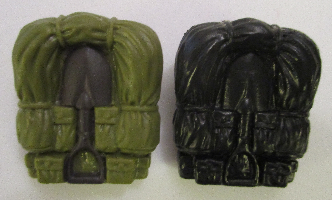 in black with Sergeant Stalker, the dull green Joe vs. Cobra version in the 2002 Wave 3 two-pack with Zartan. in black with Snake Eyes, in the 2003 ToyFare two-pack. in black with Snake Eyes, the dark blue version with the 2003 G.I. Joe miniseries DVD. 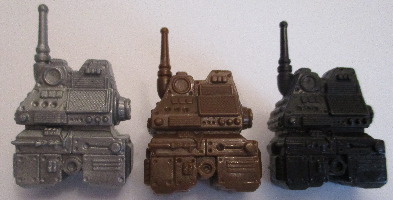 in black with Dial Tone, in the 2003 Tiger Force five-pack. in black with Beachhead, in the 2004 Night Force six-pack, as well as his reissue with the G.I. Joe Moray released in 2005.
in black with the Operation: Avalanche set, released in 2004.
in black with Heavy Duty, the orange-pants Valor vs. Venom version on the 2004 Wave 2 single card. in black with Horror Show, in the 2005 Marvel #7 comic three-pack. in black with Ace, the grey Valor vs. Venom version reissued on the 2005 Wave 3 single card. in black with Frostbite, the blue Snow Job recolor in the 2005 Winter Operations six-pack. in black with Sergeant Stalker, in the 2005 Winter Operations six-pack. in black with Backblast, the Avalanche recolor in the 2005 Winter Operations six-pack. in black with Snake Eyes, in the 2005 Winter Operations six-pack. in black with Mirage, the clear version in the 2005 Winter Operations six-pack. in black with Short-Fuze, the Blizzard recolor in the 2005 Winter Operations six-pack. in black with CLASSIFIED, the Vietnam-era Snake Eyes in the 2006 Marvel #26 comic three-pack. 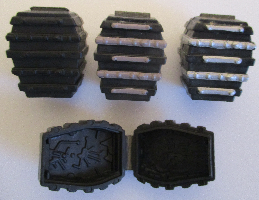 in black (four copies) with the Viper Pit six-pack, released in 2006 (not assigned to a specific figure). in dark blue with Barricade, the blue version on the 1992 Wave 2 single card. in dark blue with Barricade, the orange version on the 1993 Battle Corps card. in red-brown with Wild Bill, the black-pants version on the 1992 Wave 2 single card as well as his reissue on 1993 Battle Corps card. in red-brown with Wild Bill, the white-pants version on the 1993 Battle Corps card. in green with Bullet-Proof, the original version on the 1992 Drug Elimination Force card. 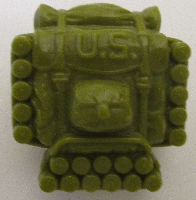 in green with Bullet-Proof, the neon version on the 1993 Battle Corps card. in black with Headhunter, the original version on the 1992 single card. 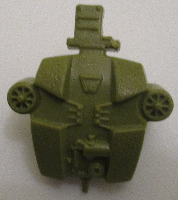 in black with Headhunter, the green-trim version on the 1993 Battle Corps card. in black with Headhunter Guard, in the 2008 Cobra Headhunters convention set. in red-orange with Duke, on the 1994 Star Brigade card. in orange and black with Sci-Fi, the yellow version on the 1994 Star Brigade card. in blue and gold with Space Shot, on the 1994 Star Brigade card. 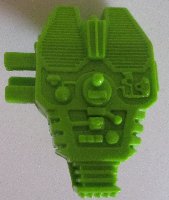 in light green with Cobra Blackstar, on the 1994 Star Brigade card. in dark green with Action Soldier, in the 1994 single box, as well as his reissue in the Original Action Team five-pack. in olive with Action Marine, in the 1994 single box, as well as his reissue in the Original Action Team five-pack. in blue with Action Sailor, the black version in the 1994 single box. in black with Action Sailor, the orange version in the 1994 Original Action Team five-pack. in olive with Double Blast, in the 2001 Real American Force Collection two-pack with Crossfire. in dark green with Leatherneck, in the 2001 Real American Hero Collection two-pack with Gung Ho, as well as his reissue with the 2003 Mobile Command Center. 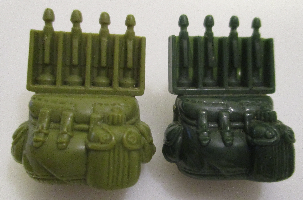 in dark green with Duke, the green Joe vs. Cobra version in the 2002 Wave 1 two-pack with Cobra Commander. in dark green with Duke, the yellow Joe vs. Cobra version in the 2002 Wave 1.35 two-pack with Cobra Commander. in black with Roadblock, in the 2004 Anti-Venom Strike Force six-pack. in black with Short-Fuze, the comic version in the 2005 Marvel #8 comic three-pack. in black and silver with Snake Eyes, the blue-trim Joe vs. Cobra version in the 2002 Wave 1 two-pack with Storm Shadow. in black and silver with Snake Eyes, the green-trim Joe vs. Cobra version in the 2002 Wave 1.35 two-pack with Storm Shadow. in white and red with Storm Shadow, the white-and-red Joe vs. Cobra version in the 2002 Wave 1 two-pack with Snake Eyes. 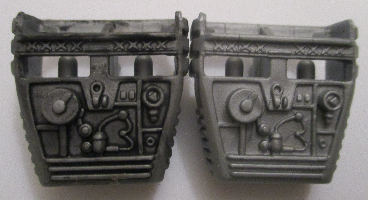 in black and silver with Snake Eyes, the black O-ring version reissued on the 2004 Wave 1 single card. in black and silver with Ninja Trooper, in the 2004 Wave 5 two-pack with Night Creeper. in grey and red with Storm Shadow, the grey-and-red Joe vs. Cobra version in the 2002 Wave 1.35 two-pack with Snake Eyes. in dark brown and silver with Storm Shadow, the black-and-white Joe vs. Cobra version in the 2002 Wave 3 two-pack with Agent Scarlett, as well as his reissue on the 2004 Gum Bits single card. 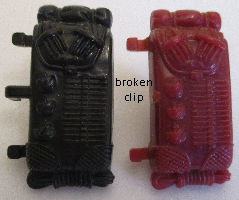 in red (+Sound Attack tab) with Blowtorch, the brown Joe vs. Cobra version in the 2002 Wave 3 two-pack with Snow Serpent. 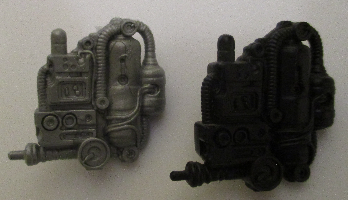 in black and silver with Snake Eyes, the grey O-ring version in the 2002 Wave 3 two-pack with Cobra Commander. in black and silver with Snake Eyes, the black O-ring version in the 2002 Wave 3 two-pack with Cobra Commander, as well as his reissue with 2003 Mission Disc #2.
in black and silver with Kamakura, the Spy Troops version in the 2003 Wave 7 two-pack with Night Creeper. in black and silver with Storm Shadow, the new-head comic version in the 2005 Marvel #21 three-pack. in light blue and silver with Night Creeper, the light blue version in the 2003 Wave 7 two-pack with Kamakura. 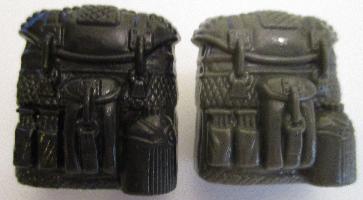 in black with Snake Eyes, the grey Valor vs. Venom version in the 2004 Wave 1 two-pack with Storm Shadow. in black with Snake Eyes, the blue-stripe Valor vs. Venom version with the black Ninja Lightning Cycle released in 2004.
in black with Storm Shadow, the black-stripes Valor vs. Venom version with the white Ninja Lightning Cycle released in 2004.
in black with Night Creeper, the green version in the 2004 Wave 5 two-pack with Ninja Trooper. in black with Snake Eyes, the all-black Valor vs. Venom version on the 2005 Wave 3 single card. in dark blue with Night Creeper, the dark blue version on the 2005 Wave 3 single card. in black with Cobra B.A.T. 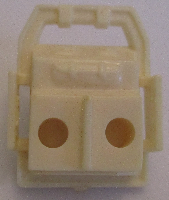 v3.2, the yellow visor/yellow hole version in the 2003 Wave 7 two-pack with Wide Scope. in black with Cobra B.A.T. 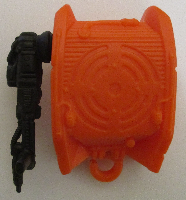 v3.2, the yellow visor/red hole version in the 2003 Wave 7.75 two-pack with Cobra Commander. in black with Cobra B.A.T. 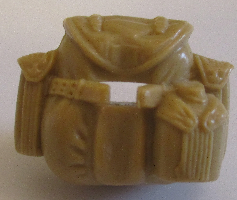 v3.2, the gold version with the A.P.C. Transport released in 2004.
in black with Cobra B.A.T. 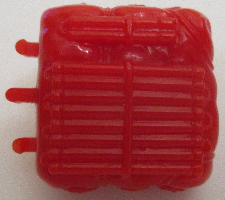 v3.2, the red visor/red hole version on the 2004 Wave 1 single card. in black with Cobra B.A.T. 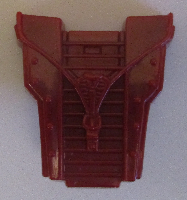 II v3.2, the red visor/yellow hole version in the 2004 Wave 5 two-pack with Cobra B.A.T. v4. in black with Cobra B.A.T. 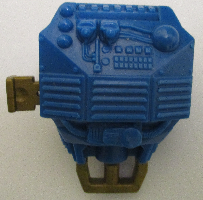 v4, the blue version in the 2004 Wave 5 two-pack with Cobra B.A.T. II. in black with Cobra B.A.T. v3, the green v3 version in the 2005 B.A.T. Attack six-pack. in black with Cobra B.A.T. v4, the green v4 version in the 2005 B.A.T. Attack six-pack. 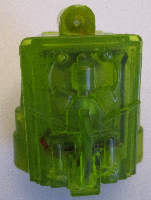 in black and clear green with Heavy Water, the green version in the 2003 Wave 8 two-pack with Heavy Duty. in black and clear yellow with Heavy Water, the neon 2004 G.I. Joe Collector's Club annual exclusive figure. in grey with Sergeant Airborne, the Spy Troops version in the 2003 Wave 8 two-pack with Tele-Viper (including on "Halo Jumper" cards). 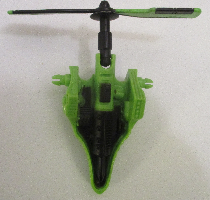 in dark green with Wild Weasel, the red Valor vs. Venom version in the 2004 Wave 4 two-pack with Gung Ho. 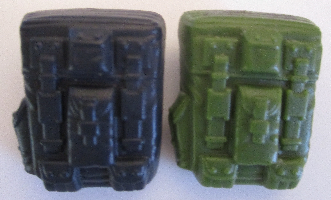 in red-brown with Scarlett, the green Valor vs. Venom version in the 2004 Wave 1 two-pack with Sand Scorpion. 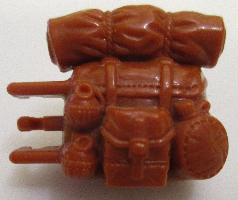 in brown with Scarlett, the Desert Patrol Squad version in the 2004 Wave 5 two-pack with Switch Gears. 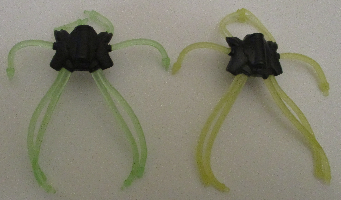 in black with Scarlett, the green Valor vs. Venom version in the 2004 Wave 1 two-pack with Sand Scorpion. 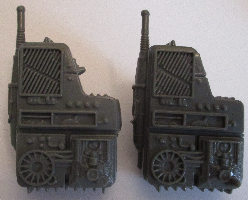 in black with Scarlett, the Desert Patrol Squad version in the 2004 Wave 5 two-pack with Switch Gears. in black with Scarlett, the black Valor vs. Venom version on the 2004 Wave 2 single card. in bronze with Agent Jinx, the Valor vs. Venom version in the 2004 Wave 3 two-pack with Cobra Slice. in red with Sand Scorpion, the red version in the 2004 Wave 1 two-pack with Scarlett. in gold with Neurotoxin, in the 2004 Wave 2 two-pack with Razor Trooper. 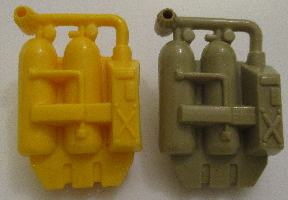 in gold with Sand Scorpion, the yellow version in the 2004 Wave 4 two-pack with Razor Trooper. 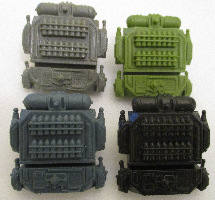 in dark grey with Shipwreck, the dark blue version with the Piranha Attack Boat released in 2004.
in light green with Shipwreck, the green Valor vs. Venom version in the 2005 Wave 6 two-pack with Electric E.E.L. in black with Kamakura, the yellow-head version in the 2004 Wave 2 two-pack with Destro. 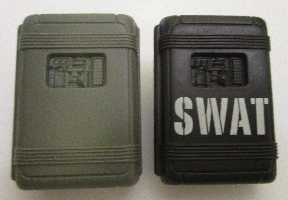 in green and black with Hard Drive, in the 2004 Wave 2 two-pack with Baroness. 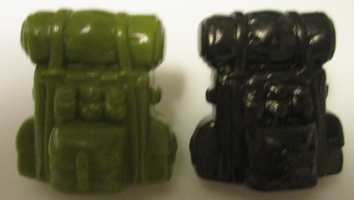 in yellow and red with Tunnel Rat, the green Valor vs. Venom version in the 2004 Wave 3 two-pack with Electric E.E.L. 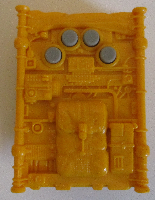 in clear yellow with Electric E.E.L., the neon version in the 2004 Wave 3 two-pack with Tunnel Rat. in black with Kamakura, the grey-head version in the 2004 Wave 4 two-pack with Storm Shadow, as well as his reissue on the 2005 Wave 3 single card. in black with Kamakura, the black-head version with the green Ninja Lightning Cycle released in 2005.
in black and silver with Storm Shadow, the red stripes/yellow cuffs version in the 2004 Wave 4 two-pack with Kamakura. in black and silver with Storm Shadow, the grey-stripes Valor vs. Venom version in the 2005 Ninja Battles set. in black and silver with Storm Shadow, the red stripes/red cuffs version on the 2005 Wave 3 single card. in red and black with Dreadnok Torch, the Valor vs. Venom version in the 2005 Wave 6 two-pack with Sgt. Bazooka. 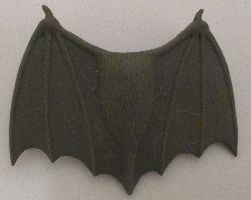 in dark green and black with Dragonsky, in the 2005 Steel Brigade convention three-pack. in silver and black with Dragonsky, the comic version in the 2006 Marvel #101 three-pack. 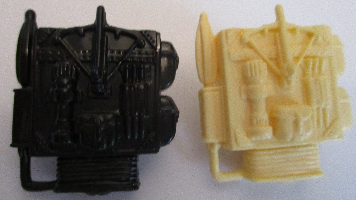 in grey and black with Tunnel Rat, the yellow Valor vs. Venom version in the 2005 Wave 6 two-pack with Razorclaw. 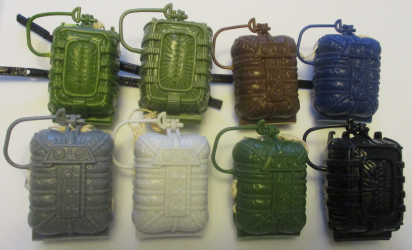 in light green with Bombstrike, in the 2005 Wave 7 two-pack with Croc Master. in dark red with Crimson Guard, on the 2005 Direct-to-Consumer Wave 1 single card. in blue-grey and light green with Cobra B.A.T. v5, in the 2005 B.A.T. Attack six-pack. in blue and red with Sky B.A.T., released at the 2008 G.I. Joe convention. in black with Guillotine, in the 2006 Plague Troopers vs. Steel Brigade six-pack. in black with Roadblock, the dark 25th-style version in the 2007 25th Anniversary G.I. Joe five-pack, as well as his reissue on 2007 Wave 4 single card. in black with Cobra Night Watch Trooper, the medium-brown-hair version in the 2008 Cobra Night Watch five-pack. in light blue with Gung Ho, the blue 25th-style version in the 2007 25th Anniversary G.I. Joe five-pack, as well as his reissue on 2007 Wave 4 single card. in light blue with Duke, reissued on the 2007 Wave 4 single card. in bright green with Duke, the tan comic version in the 2008 Marvel #24 two-pack with Cobra Commander. 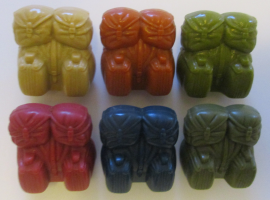 in green with Gung Ho, the green 25th-style version in the 2008 Marvel #64 comic two-pack with Cobra Commander. 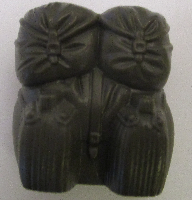 in black with Baroness, the wavy-hair version in the 2007 25th Anniversary Cobra five-pack. 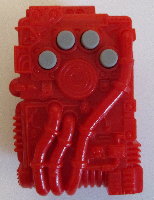 in grey and red with Buzzer, the 25th-style version on the 2007 Wave 2 single card. 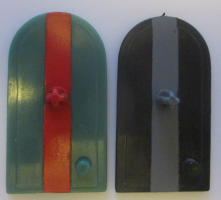 in black and dark red with Beachhead, the olive 25th-style version on the 2007 Wave 2 single card. in black and red with Beachhead, the dark green 25th-style version on the 2009 Hall of Heroes single card. in blue and silver with Cobra Air Trooper, in the 2007 Cobra Legions five-pack, as well as his reissue on 2007 Wave 4 single card. in grey and silver with Duke, the white-shirt version on the 2008 Wave 7 single card. in metallic blue and silver with Sergeant Stalker, the yellow-green 25th-style version in the 2008 The M.A.S.S. Device DVD pack. in metallic blue and silver (with flag) with Duke, the mustard-shirt version in the 2008 G.I. Joe: The Movie DVD pack. in green and silver with Skyduster, the 25th-style version in the 2008 Senior Ranking Officers three-pack. 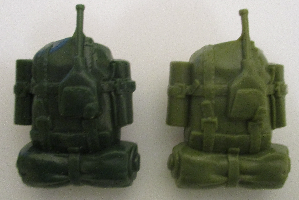 in dark green and graphite with Sergeant Stalker, the dark green 25th-style version in the 2008 Ultimate Battle Pack. in black with Zartan, the Devil's Due 25th-style version on the 2007 Wave 3 single card. in black with Zartan, the red-pants 25th-style version on the 2008 Wave 11 single card. 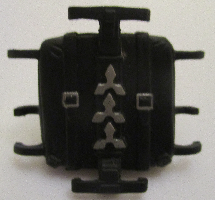 in black and grey with Zartan, the glowing-vest 25th-style version in the 2009 Cobra five-pack. in black and silver with Zartan, the dark-pants 25th-style version on the 2009 Hall of Heroes single card. 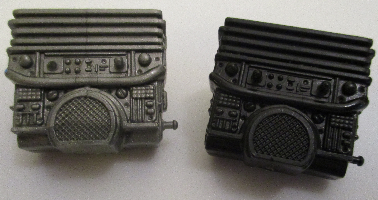 in grey and black with Firefly, the grey 25th-style version on the 2007 Wave 3 single card. in blue-grey and black with Firefly, the blue-grey 25th-style version in the 2008 Firefly vs. G.I. Joe Troopers five-pack. in black with Firefly, the dark grey 25th-style version on the 2009 Hall of Heroes single card. in red with Crimson Guard, the black mask/black visor version on the 2008 Wave 5 single card. 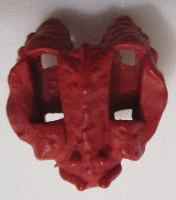 in red with Crimson Guard, the removable helmet version in the 2008 Comic #32 1/2 two-pack with Scarred Cobra Officer. 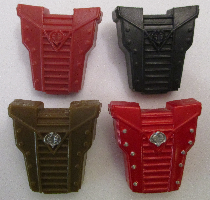 in red with Crimson Guard Trooper, the black mask/silver visor version in the 2008 Senior Ranking Officers three-pack. in red with Crimson Guard Officer, the gold-masked CG in the 2008 Senior Ranking Officers three-pack. in red with Crimson Guard Squad Leader, the silver-vest CG in the 2008 Crimson Guard five-pack. 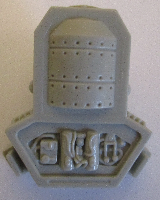 in red with Crimson Guard Trooper, the silver mask/black visor version in the 2008 Crimson Guard five-pack. in black with Python Crimson Guard, on the 2008 Wave 12 single card. 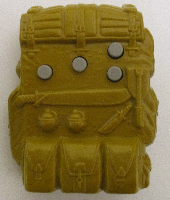 in brown and silver with Crimson Guard, the tan version in the 2008 Desert Assault Squad seven-pack. in cherry red and silver with Crimson Guard, the cherry-helmet version on the 2009 Hall of Heroes single card. in white with Snow Job, the 25th-style version on the 2008 Wave 5 single card. in silver with Sergeant Flash, the 25th-style version on the 2008 Wave 5 single card. in olive with Corporal Breaker, the brown-hair 25th-style version in the 2008 Marvel #14 comic two-pack with Destro. in black with Cobra Night Watch Trooper, the dark-brown-hair version in the 2008 Cobra Night Watch five-pack. 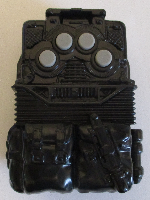 in silver with Dreadnok Torch, the black 25th-style version in the 2008 Marvel #30 two-pack with Dreadnok Ripper. 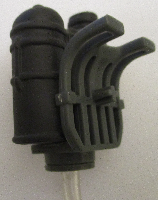 in dark brown with Cobra Trooper, the flamethrower version in the 2008 Desert Assault Squad seven-pack. in black with Dreadnok Torch, the brown 25th-style version on the 2009 Wave 13 single card. in silver with Dreadnok Ripper, the green 25th-style version in the 2008 Marvel #30 comic two-pack with Dreadnok Torch. in black with Dreadnok Ripper, the yellow 25th-style version on the 2008 Wave 12 single card. in silver with Cobra Commander, the light armor version on the 2008 Wave 6 single card. in dark silver with Cobra Commander, the dark armor version in the 2008 Marvel #64 comic two-pack with Gung Ho. 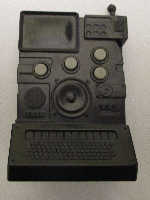 in grey and dark red with Lieutenant Torpedo, the black 25th-style version on the 2008 Wave 6 single card. 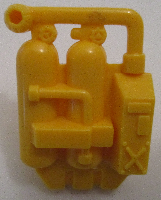 in dark grey and orange with Lieutenant Torpedo, the yellow 25th-style version in the 2008 Senior Ranking Officers three-pack. in black and dark red with Cobra Diver, on the 2008 Wave 12 single card. in black and dark red with Cobra Viper, the black-goggles 25th-style version on the 2008 Wave 7 single card. in black and dark red with Cobra Viper, the black-goggles 25th-style version in the 2008 Marvel #86 comic two-pack with Iron Grenadier. in grey and green with Cobra Viper, the red 25th-style version with the Cobra F.A.N.G./Cobra C.L.A.W. vehicle set released in 2008.
in black and silver with Cobra Viper, the long-sleeve 25th-style version in the 2008 Arctic Assault Squad seven-pack. in black and red with Cobra Viper, the bright-blue chrome version in the 2009 Cobra five-pack. in black and red with Cobra Viper, the dull-blue chrome version on the 2009 Hall of Heroes single card. in grey with Python Patrol Viper, with the Conquest X-30 released in 2009.
in silver with Spirit Iron-Knife, the 25th-style version on the 2008 Wave 7 single card. in silver with Snake Eyes, the crossed-swords 25th-style version on the 2008 Wave 7 single card. 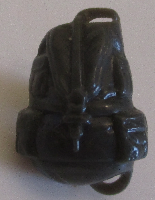 in black with Snake Eyes, the grey crossed-swords version in the 2009 Greatest Battles DVD pack. 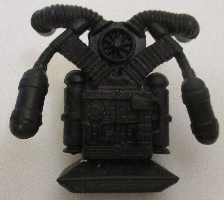 in black with Major Bludd, the black-vest 25th-style version on the 2008 Wave 8 single card. 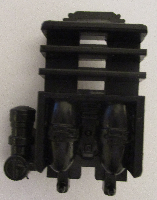 in black with Major Bludd, in the 2008 Desert Assault Squad seven-pack. in silver with Major Bludd, the silver-vest 25th-style version in the 2008 The Pyramid of Darkness DVD pack. in olive with Snake Eyes, the arctic 25th-style version on the 2008 Wave 8 single card. in dark blue with Firefly, the comic 25th-style version in the 2008 Comic #4 two-pack with Storm Shadow. in black with Cobra Officer, the tan version in the 2008 Desert Assault Squad seven-pack. 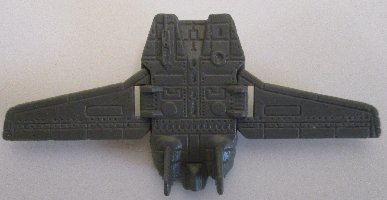 in grey with Firefly, the Resolute version on the 2009 Wave 13 single card. in dark brown with Firefly, the dark grey 25th-style version on the 2009 Hall of Heroes single card. in black with Storm Shadow, the bare-chested 25th-style version in the 2008 Comic #4 two-pack with Firefly. in silver and black with Cobra Ninja Viper, the 25th-style version on the 2008 Wave 12 single card. in green and tan with Red Star, the 25th-style version in the 2008 Comic #6 two-pack with Duke. 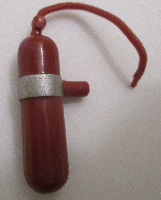 in dark red and silver with Baroness, the diver version in the 2008 The M.A.S.S. Device DVD pack. in green with G.I. Joe Hawk, the dark brown 25th-style version on the 2008 Wave 9 single card. in light green with G.I. Joe Hawk, the light brown 25th-style version in the 2009 G.I. Joe five-pack. in green with Sergeant Bazooka, the 25th-style version on the 2008 Wave 9 single card. 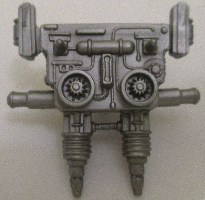 in grey with Snow Serpent Trooper, the silver-buckle combat version in the 2008 Arctic Assault Squad seven-pack. in dark grey with Barbecue, the 25th-style version on the 2008 Wave 9 single card. 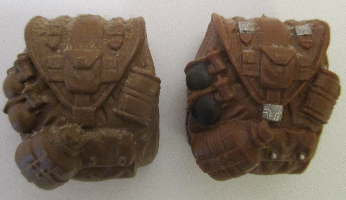 in dark brown with Cobra Trooper, the Hazmat version in the 2008 Desert Assault Squad seven-pack. in white with Snow Serpent, the blue-buckle 25th-style version on the 2008 Wave 9 single card. in white with Snow Serpent Trooper, the silver-buckle heavy weapons version in the 2008 Arctic Assault Squad seven-pack. in white with Snow Serpent Officer, in the 2008 Arctic Assault Squad seven-pack. in grey with Cobra Viper, the elbow-sleeve 25th-style version in the 2008 Arctic Assault Squad seven-pack. in silver and black with Cobra B.A.T., the green-grenade 25th-style version on the 2008 Wave 9 single card. in silver and black with Cobra B.A.T., the red-knee version in the 2009 G.I. Joe Resolute five-pack. 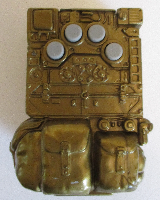 in silver with Cobra B.A.T., the red-face 25th-style version in the 2008 Arise, Serpentor, Arise! DVD pack. in silver with Cobra B.A.T., the gold-grenade version on the 2009 Hall of Heroes single card. in green with Nemesis Immortal, in the 2008 Comic #8 two-pack with Lt. Falcon. in dark red with Nemesis Immortal, in the 2008 Comic #8 two-pack with Lt. Falcon. in light green and tan with Lieutenant Falcon, the 25th-style version in the 2008 Comic #8 two-pack with Nemesis Immortal. in blue and tan with Tele-Viper, the grey 25th-style version in the 2008 Arctic Assault Squad seven-pack. in light green with Tripwire, the 25th-style version in the 2008 Comic #9 two-pack with Cobra Commander, as well as his reissue on the 2008 Wave 12 single card. 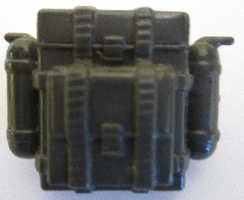 in dark brown with Cobra Trooper, the mine detector version in the 2008 Desert Assault Squad seven-pack. in green and brown with Duke, the Tiger Force version on the 2008 Wave 10 single card. in black with Duke, the Valor vs. Venom-style version in the 2009 Greatest Battles DVD pack. in silver with Croc Master, the 25th-style version on the 2008 Wave 10 single card. 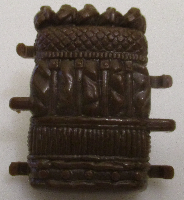 in brown with Mercenary Wraith, the silver version on the 2008 Wave 10 single card. in clear blue with Mercenary Wraith, the clear version on the 2008 Wave 10 single card. in light green and black with Specialist Trakker, on the 2008 Wave 11 single card. in tan and light green with Sergeant Airborne, the 25th-style version on the 2008 Wave 11 single card. in black and grey with Cobra Eel, the 25th-style version on the 2008 Wave 11 single card. in blue with Scarlett, the blue 25th-style version on the 2008 Wave 11 single card. in black and white (with white string) with Snake Eyes, the trainee version in the 2008 Comic #10 two-pack with Hard Master. in black and white with Hard Master, in the 2008 Comic #10 two-pack with Snake Eyes. 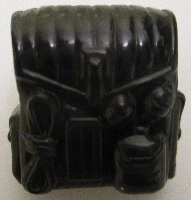 in black with Dusty, the 25th-style version in the 2008 Arise, Serpentor, Arise! DVD pack. in black with Quick Kick, the 25th-style version in the 2008 The Pyramid of Darkness DVD pack. in black with Alpine, the 25th-style version in the 2008 G.I. Joe: The Movie DVD pack. 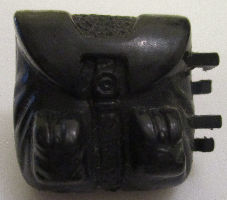 in black with Cobra Trooper, the blue Resolute version on the 2009 Wave 13 single card. 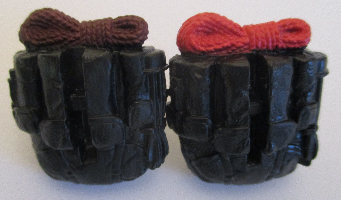 in black (with red peg) with Cobra Trooper, the red Resolute version in the 2009 G.I. Joe Resolute five-pack. in black (with red peg) with Cobra Officer, the red version in the 2009 G.I. Joe Resolute five-pack. in yellow with Blowtorch, the 25th-style version on the 2009 Wave 13 single card. in silver with Destro, the red-and-blue version in the 2009 Resolute #1 comic two-pack with Shockblast. in black with Snake Eyes, the light-bandolier visor version in the 2009 G.I. Joe five-pack. in brown with Flint, the snarling 25th-style version in the 2009 G.I. Joe five-pack. in brown and black with Flint, the dirty-boots 25th-style version on the 2009 Hall of Heroes single card. in black and silver with Duke, the grey Resolute version in the 2009 G.I. Joe Resolute five-pack.